Our thanks to Carly for the use of this lovely photo. Welcome to Leaves in which we talk about two matters very near and dear to our hearts here at The Feminine Gift: books and tea. No reviews, just a simple invitation to take a quiet moment to enjoy simple pleasures. Tea leaves: mulled apple herbal tea. 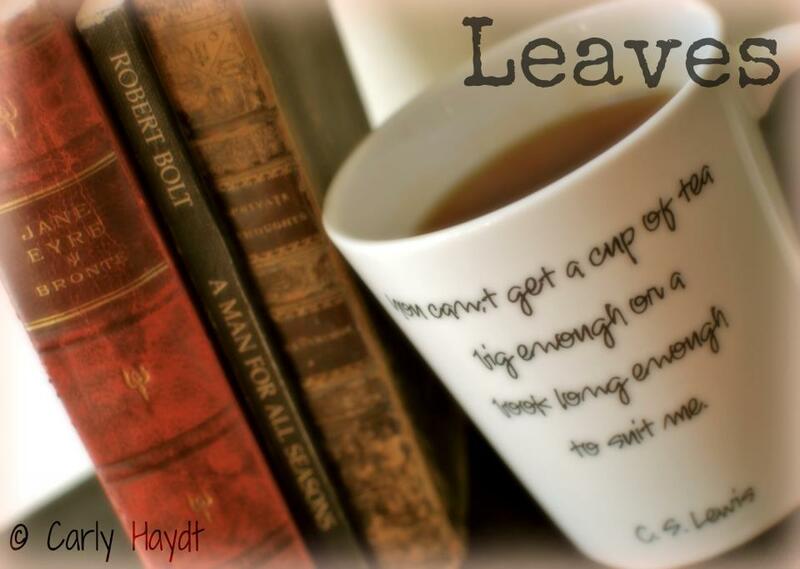 Have you read Georgette Heyer? These are fun (and clean) Regency romances. Heyer was known for her impeccable and exhaustive research so details are authentic. You could consider her books a fun way to learn history! If you've been enjoying Downton Abbey, you might enjoy Georgette Heyer. How about you? What are you reading? Are you a tea drinker? Chocolate-mint Rooibos after lunch and Red Rose before, two big cups with, ahem, cream. And I am currently reading Poustinia by Catherine Doherty. However, I just finished Driftless by David Rhodes - absolutely fabulous book which I highly recommend. Nice Elena...you're a Red Rose and cream woman, eh? I never would have guessed! Chocolate-mint tea? Yummy! And I've been wanting to read Poustinia for a long time now. Enjoy! I am more of a hot chocolate person, though I enjoy most herbal teas as well. Unusually, I am actually not reading anything at the moment. I am planning on reading a few Scott Hahn books soon. I actually have two Georgette Heyer, some of her mystery romances, and throughly enjoy them as well. Mmmmm... hot chocolate! With or without marshmallows? 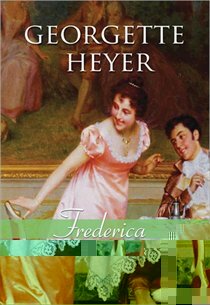 Delighted you know Ms. Heyer, Frances. Her books are a favourite go-to when I want some light reading. Certainly can't go wrong with Scott Hahn! I'm stuck on Cream Earl Grey and Buttered Rum at the moment, hot black teas with milk. And I'm reading a few books - just finished The Happiness Project - highly recommend it - and Practice of the Presence of God, also very very good. I've been on a tea, straight-up kick lately, drinking my tea without milk or sugar in. Unless it's a steeped tea from Tim's, when it's always, always two milk one sugar. Bliss. I'm looking forward to reading The Happiness Project. Someone I know has been telling me good things about it! But my go-to tea is Twinning's English Breakfast with milk. And I am currently reading "Learning all the Time" by John Holt, the founder of the 'unschooling' movement and "The Jeweler's Shop". You know Jenna, we haven't figured out how to do link ups yet, but that is a brilliant idea. I'm reading One Thousand Gifts by Ann Voskamp and always, always, always drinking Red Rose with milk - no cream! :o) And occasionally hot chocolate (sans marshmallows) or "Awake" tea from Starbucks. Or steeped tea from Tim Horton's. So apparently it's not always, always, always Red Rose. Carly I LOVE this book. In fact, we'll be starting a One Thousand Gifts book club before lent. I also love Awake Tea and I live quite far from any starbucks, I stock up whenever I can. This means I usually have at least one full box and one half box on hand. Yeah...it's a bit much I know! Not always always always, but always always unless.